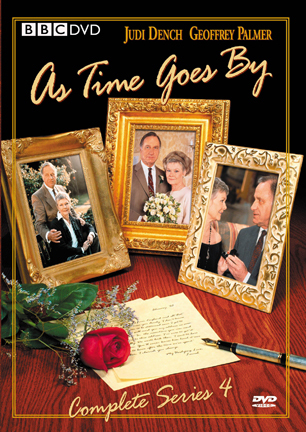 From the Archive: A British Television Blog: As Time Goes By...The Last Great Britcom Export? Here is a question posed more towards the US readers. Do you remember the good old days of watching British comedies on PBS? There was a time that I would tune in and there was so many great series to choose from. I started watching British comedies on PBS (Public television) in the mid-1980s. When I started to watch it, there would be a steady stream of programs from the 1970s along with newer series from the 1980s. Then, when we got into the 1990s, there would still be those series from the 1970s but also the 1980s and the 1990s. These were the glorious years to become British television fans. These programs seemed important because they were treated as great programs. Now, I can only speak for the PBS station in my area, KTCA (now TPT), but things have changed quite a bit. The question is what has changed? Back in the 1990s, a lot of great series were coming out of the UK and finding their way over here. Programs such as Mr. Bean, The Vicar of Dibley, The Piglet Files, Keeping Up Appearances, The Brittas Empire, Father Ted, Absolutely Fabulous, Men Behaving Badly, and As Time Goes By were great series that made their way over here. Of course other series from the 1980s were still being made into the 1990s, these series listed above started in that 1990s. I feel out of touch because it doesn’t feel to me that we are getting the same type of series now as we were getting on PBS in the 1990s. Why is that? I have no hard factual answers to this (who needs facts?). I do have some theories though. One series made me think about this subject and it was none other than As Time Goes By. Anyone who knows me well may be surprised that I am writing an article about this series or for that matter has any copies of this series in my collection. I have gone on for years telling everyone I could that I am not a very big fan of this series. In fact, it would always piss me off when I would tune in to KTCA at 10:30 to watch something very probably like Are You Being Served? (probably to tape it for my own collection) and tune in in time to watch the end of the episode of As Time Goes By running previous to it and catch that horrible theme music. I couldn’t tell you how many recordings of any Britcom I taped off-air that would have the last 5 minutes of As Time Goes By because I wanted to make sure I wouldn’t miss the opening of the series I did want to record. I also have commented (rather rudely) that all the spines of the NTSC VHS releases had pictures of Judi Dench from each year of the series showing her progressively getting older. Thus, I renamed the series ‘As Judi Dench Gets Older’. I am true and true a fan of British television. When I had the opportunity to acquire this series, I did because I wanted to have it in my collection. It also sat on my shelf in my collection for many years doing nothing but gathering dust. I started this malarkey of randomly picking something from my collection to watch years before I started to write this blog. Back in December of 2007 I thought it would be fun to randomly pick something to watch on New Year’s Day but as a marathon. 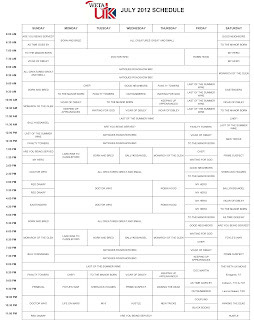 A lot of other stations such as Sci-Fi was showing marathons of shows (Sci-Fi always showed The Twilight Zone) and I thought I could pick something cool from my collection and do the same thing. Since I was randomly picking it, who knows what treasure I would choose to watch. Maybe one of the Quatermass serials or Doomwatch, it could even be Doctor Who. For my inaugural marathon I picked…..As Time Goes By. I was a little disappointed. I wasn’t a big fan of the series and wanted to pick something else but didn’t. If I kept randomly re-picking series until it’s something I loved, then what’s the point of doing this? So for that first year I watched Series 1-3 of As Time Goes By. Guess what? I really liked it. I should have known I would. It was written by Bob Larbey who wrote along with John Esmonde some of the greatest and most favourite British series of all time such as The Good Life, Please Sir, Ever Decreasing Circles, Brush Strokes, The Other One, and Mulberry. On his own he also wrote A Fine Romance (also starring Judi Dench). For some reason I thought the series would be overly sappy. I don’t know why that is but I did. What I ended up seeing was a series that was written very smartly with a great use of play-on words. It’s actually dialogue I could see Tom Good using. Why would have expected anything else from Bob Larbey? As Time Goes By is about Lionel Hardcastle and Jean Pargetter who were a couple in 1953 but when Lionel was sent to Korea, the two lost touch. Years later, they find each other again as Lionel needs a secretary and get one from Jean’s business. They eventually begin their relationship again. Lionel had been divorced from his wife and he is a writer. When they met again, Jean’s husband passed away and she has a daughter that works for her named Judy. By the time we get to Series 4, Lionel has moved in with Jean and Judy had been dating Lionel’s book publisher Alistair. 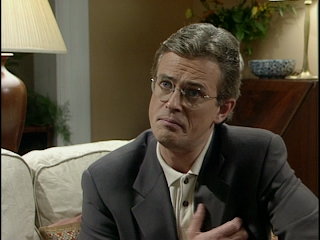 Things go very rocky between Alistair and Judy as she finds him very pretentious. Lionel is at work on his mini-series he is writing for Hollywood, ‘Just Two People’. Series 4 is 10 episodes in length. It just goes to show how popular the series was with the British public (and in the US) as most comedy series are just 6 episodes per series. This article only covers the first 6 episodes. The series starts with Sandy (an employee of Jean’s business) who gets in a fight with her boyfriend and moves in with Jean, Judy and Lionel. Lionel is a bit prickly as it is but when Sandy moves in, he is upset because the room she ended up staying in was going to become his own study. 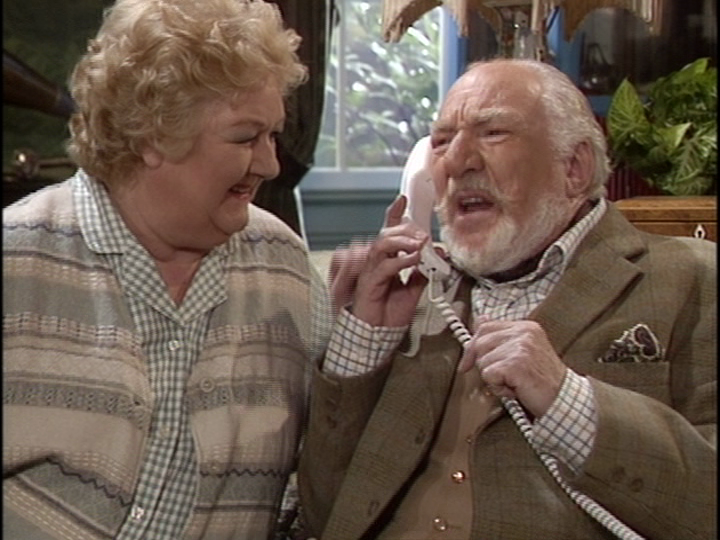 At the end of Series 3, Jean gets Lionel’s very attractive secretary Daisy fired because Jean is jealous of her. Instead Jean finds a new secretary for him. The rather frumpy Mrs. Flack. Not only does she talk non-stop to make it hard for Lionel to get any work done, she constantly re-arranges everything in the house so no one can find anything. Neither Lionel nor Jean has the courage to sack Mrs. Flack because she is not a bad person, just rather annoying. Finally in Episode Three, Jean has an outragouse plan to get Mrs. Flack to quit but there is no need. She quits first for personal reasons. After all the years of Jean and Lionel having known each other and having a lost connection, Lionel proposes to Jean on one knee. Of course that knee locks up. Lionel and Jean disagree about whether they are engaged or not. Jean believes engagement is for young people, Lionel sees it as the time before a couple gets married is simply an engagement. There are some great eccentric characters in this series. Jean’s sister-in-law Penny plans on staying with Jean and Lionel for a while. Remember Sandy is already staying there too. Penny is upset because her husband Stephen is having an affair with his nurse Miss Breeze. Stephen is not having an affair with Miss Breeze. Miss Breeze is helping him arrange a surprise anniversary part for Penny and him. It is easier for him to keep the surprise if Penny continues to believe he is having an affair. It makes an odd sort of sense…..I guess. Even stranger than those two are Lionel’s father Rocky and his wife Madge. Both of them are older yet very free spirits and very well off. In fact, in Episode Five, Rocky tells Lionel his intention on giving his house to him. This prompts Lionel to feel more secure with his own life as he now has something offer to Jean which is why he proposed to her. One area that isn’t going to well for Lionel is his mini-series. The mini-series is about how Jean and he met and their relationship. Hollywood did not like the scene where Jean and Lionel first made love. Lionel, who is not the most romantic person in the world, had a lot of trouble re-writing it. First he was trying to do so while Mrs. Flack was still in his employment and she helped him in no way with the exception of telling him to make sure his socks stays on him. Then when Daisy re-joins him after Mrs. Flack left, he finds it hard to write such a personal scene while such a young beautiful person is in the room. Finally, he turns to the only person who would be able to help him write that scene, Jean. After all, she was there. Mike Barbosa, one of the producers, flies in from Hollywood to look at Rocky’s house as it seems like a suitable place to film part of the story. There Mike also explains some of the things he wants added to the script such as scenes of when Lionel was a boy. Lionel is absolutely not amused. I will tackle Episodes 7-10 next week and with that I will write a little bit more of my thoughts on the series. I wanted to touch on the question I posed earlier: are we out of getting new heavy hitting Britcoms for PBS? Now this isn’t some academic research I am doing or a scientific study. This is a question I have been thinking about and it is all entirely my own opinion. Back when I was really watching these programs in KTCA, it was a ritual. After a long day at school or eventually work, the one thing I could look forward to was sitting down starting at 10pm and watch some British television. It really was like travelling through a portal. Everything about it was special. It made an informative impact on my youth. When I was in Catholic grade school, I felt I was being rebellious by watching Bless Me Father. I remember loving the décor of the Parkinson’s house in Butterflies. I also remember being intimidated by Yes Minister because I thought the humour was too adult for me as a child. 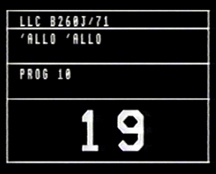 These programs formed my own sense of humour with biting sarcastic wit of Black Adder & Basil Fawlty and the wonderful play on words satirical humour of ‘Allo ‘Allo! Has this all changed? Is the BBC making programs like this now? The question is, how much does this have to do with changes in my own life? In November I am planning a nice-size article on my interest in tape trading. That is basically swapping recordings of programs for other ones I need to finish a collection. I was an avid video recorder and it was a serious art to me. Taping from the TV station itself is called an ‘off-air’ recording. That is the best quality you could get at one time other than breaking into the TV station and getting copies directly from the master tape or getting the commercial release. Unfortunately, back in the mid to late 1980s there weren’t always commercial releases of these wonderful programs so for me to get the programs I wanted, I needed to record these programs off the air on VHS at SP speed. That meant the best possible quality I could get. I wonder what that is about especially as Series 6 is now out on DVD. Nevertheless, without the whole series available, back in the 1990s, I would skip it and watch my PAL copies of the series from UK Gold a friend in the UK sent me. What about other people? Some of these series were very difficult to watch unless your PBS station ran them but then a little shiny disc came out called DVD…. For many people, the British series shown on PBS were almost the only way people got to see programs made by the BBC (yes, I know cable networks like A&E made a substantial chomp into that) but suddenly programs that never made it over here on TV before were showing up on DVD. Studios were releasing stuff that some people may have only heard about. 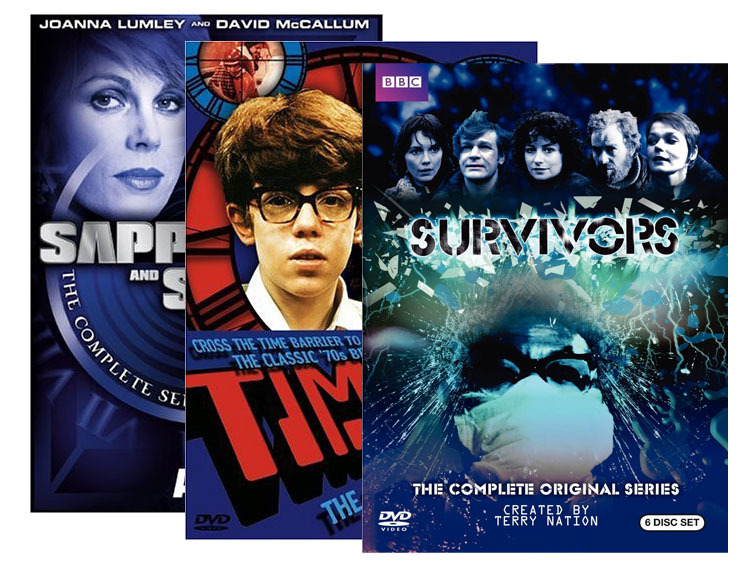 Programs such as Survivors, Timeslip, or Sapphire and Steel which never was seen by many people in the US before were readily available for purchase on DVD. Series that had way too many episodes for a realistic release on VHS (apart from Doctor Who) became available and took up little space such as Lovejoy or All Creatures Great & Small. More and more people were creating their own libraries and yet KTCA seemed to be always showing the same stuff. There are a lot of series listed above who have stars in them that were bigger stars in other classic PBS imported series. Such as The Old Guys have Clive Swift from Keeping Up Appearances and Roger Lloyd Pack from The Vicar of Dibley. I have seen an episode of The Old Guys, I hope I caught it on an off episode. As I write this article, KTCA is showing Ballykissangel on weeknights. Is the broadcasting of Britcoms finished on PBS stations? Something really interesting has happened this year in Washington DC. WETA has devoted an entire channel to British television called WETA UK. It is what so many of us hoped BBC America was going to be yet was so disappointed with it as the years have gone on. My guess as to why a PBS could devote a whole channel to British television goes like this: when stations changed over to HD, they had extra bandwidth to use to accommodate the size of the HD signal. Channels could use that signal to make their own channels higher quality or they could split their signal and have up to 4 other channels. A lot of channels do that. TPT (formerly KTCA) has 4 other TPT channels. If you are in the Twin Cities, this is why KSTP also has KSTC. So for WETA, they have 4 stations. WETA, WETA HD, WETA Kids, and WETA UK. British television is not cheap. I hope they can keep this up. I want to move there so I can watch it and support it. Now, of course I can support WETA UK if I wanted as I could any other Public Television Station but even I think it is a little much to pay for a station that I have no way of watching plus owns most of the programs they are showing on DVD/Blu Ray. What shows are they airing? It’s interesting as basically all the shows that BBC Worldwide Americas offer to PBS stations are on this station. There are some things that they don’t offer which is on here such as Foyle’s War, Prime Suspect, and Sherlock Holmes. I would assume that the Sherlock Holmes referenced would be the Granada Jeremy Brett version? To stay on the original topic of the article, not many of the shows are from the 21st century and most are classics with some series being a cross-over from the 20th to 21st century. Stuff from the 21st century consists of Born and Bred, My Hero, Outnumbered, Last of the Summer Wine, Doctor Who, Antiques Roadshow, Monarch of the Glen, Lark Rise to Candleford, Prime Suspect, Foyle’s War, Primeval, Waking the Dead, MI-5, Life on Mars, Hustle, New Tricks, Coupling, Black Books, and Red Dwarf. 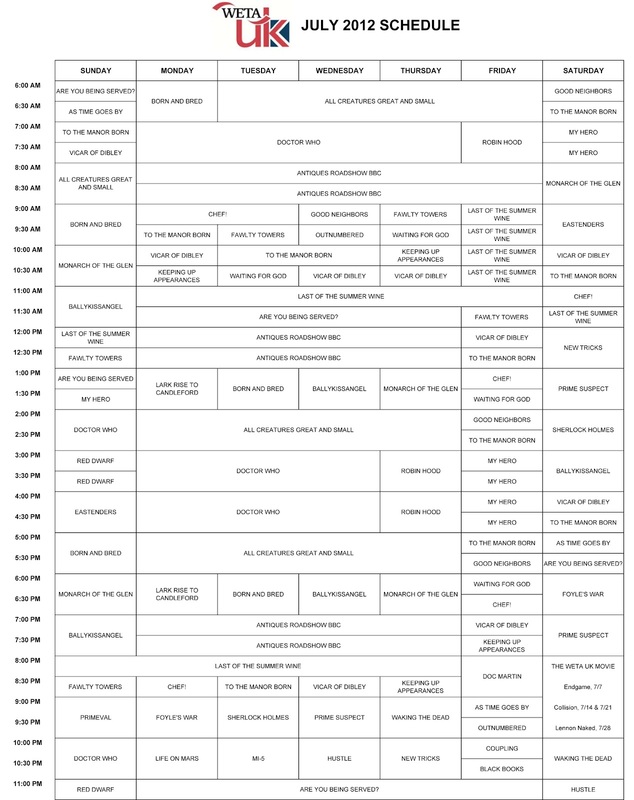 WETA UK must have got a deal from BBC Worldwide Americas to get all of this programming and launch its own channel. If this was the heyday of British comedies of PBS back in the 1980s, the cost would have been impossible for such a station ever to exist. I applaud WETA and I hope this lives on for a very long time. TPT will never do a station like this. It’s a shame but not unexpected. At least I have hours and hours of programming I can watch for myself. To get a sample of what WETA UK is showing, please find below the schedule for its July programming. Long Live WETA UK! It seems almost like someone passed away. 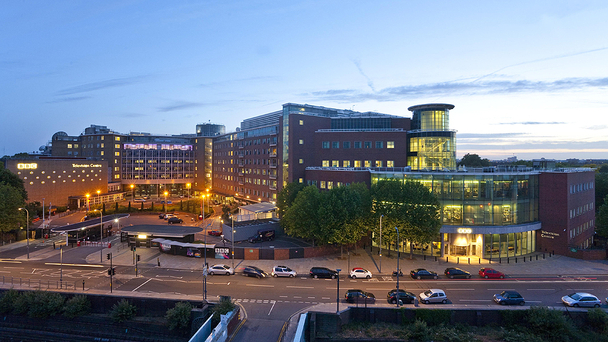 According to The Guardian in the UK, BBC Television Centre has been sold for £200 million. It has been bought by Stanhope plc. Television Centre was opened in 1960. The Guardian says the 14 acre site will be empty by 2015. Parts of the site was given a Grade II status by English Heritage in 2009. The Guardian posted some reactions by people on Twitter such as this nice one: "The BBC without BBC Television Centre is like the Royal Family without Buckingham Palace. Sad times," said @CameronYardeJnr.”. The good news is that the site will still be used for broadcast/production services and also will still have a BBC presence. BBC Studios and Post Production will still operate in there including the famous Studio 1. This could have been a whole lot worse. In May there was a great program about the place called Tales of Television Centre. It is a nostalgic and wonderful program with many who worked there coming to terms that a significant chapter to British television is about to close. Check out the program if you have a chance and check out my article I wrote about the program Tales of Television Centre. Next week: We continue on with the last four episodes of Series 4 of As Time Goes By. We look at the episodes and a little more background information on this wonderfully classic series. When I first started watching As Time Goes By, I thought it was decent. 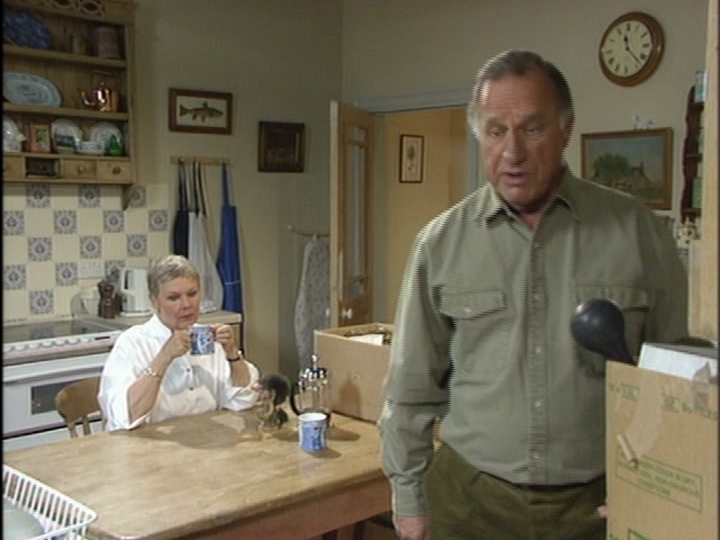 I really only knew Geoffrey Palmer from The Fall and Rise of Reginal Perrin and Fairly Secret Army, but I enjoyed him there so it was reason enough to watch. Judy Dench I didn't know from a hole in the ground. It was decent, as I said, but as the shows ran on, I started enjoying it less. By the time they got married, I had pretty much lost interest and don't think I have seen anything past series 4. Every now and again I think about revisiting the show to see if my tastes have sufficiently changed to be able to enjoy it more, but there are so many other things to watch that I have never gotten around to it. Perhaps someday. Now, on to WETA UK. It almost makes me want to move to the DC area, but then I would watch tv all day and never get anything done. As you said, this is what BBC America should have been but never was. Great lineups from a station that has been enthusiastic about British television for many years. 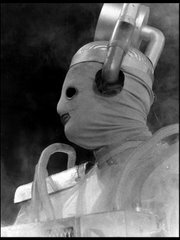 My understanding at some point WETA will also be showing classic Doctor Who. Not that is significant other than that BBC Worldwise Americas is no longer really offering the series to stations and is just offering the new series. I probably won't get to Series 5 of As Time Goes By until the next time I pick it randomly. I just watched the rest of Series 4 last night and will start writing my article Monday but I am interested to see how much the series changes now that they are married. As you can see, my stance on the series is very similar to yours in the sense that (although) I like it,it is not until I have a reason to watch it I will. Otherwise I would much rather watch some of the more interesting pieces in my collection. The only Brit shows we see on PBS here is Are You Being Served and New Tricks. The occasional miniseries being shown on Masterpiece or Mystery. As Time Goes By I always avoided trying to watch the series because if I remember correctly you dubbed the series "Are We Dead Yet" and talked like you didn't like it. Now I might have to check it out. PS I am waiting for the day when you randomly review a Jason King episode. I don't have any Jason King. What is it that makes it so good? Sell me on it. I don't have Jason King either, but I seem to remember he was always a character you would joke about. I'm guessing because he stood out when you watched commercials advertising for old ITC shows on DVDs and videos, but for all the wrong reasons. Apart from Masterpiece Theatre and Mystery, which has now been folded into Masterpiece, British shows are shown by local PBS affiliates. I remember the good old days of watching Dr. Who (second through eighth Doctors), Blake's 7, and Red Dwarf on the PBS outlets in Albany and SLC on Saturdays, I think) in the 1980s and 1990s. The disappearance of some of this stuff certainly is related to a decline in funding for PBS thanks to the anti-intellectual true believer neo-lib holier than thous in Congress. It is too bad PBS wasn't allowed to parallel the BBC in terms of funding. Local Albany PBS, by the way, shows the inevitable Monarch of the Glen, Last of the Summer Wine, Are You Being Served, As Time Goes By, Keeping up Appearances, and Vicar of Dibley. It has also shown Old Guys, Black Books, and Outmumbered recently (I wish they still showed the brilliant last series but). WMHT is showing Spooks on Thursday but have never moved beyond the Adam Carter Saga. oh, by the way, the Retro TV Network, which was just replaced by a dreadful life channel in Albany, was showing The Saint. Perhaps lobbying will get either Me or Antenna to pick up some British ITV or C4 stuff. Commercials. I don't get anything in my area like ME or Retro. It would be nice to see some of those old shows but in a way, I could start my own network with all the British Television DVDs I have. LOL. Once again, I wished BBC America showed more of the older BBC series but it will never happen. I guess i just hope that the wonderful WETA takes off and other PBS stations follow suit. Once again though, I watch a lot stuff that never is shown over here. For example, I started watching Colditz. Picked up the Colditz DVD set. Been on a Danish TV binge recently. We will have to compare notes on Colditz when we get through it! Greg, I love your blog, by the way. My summer vacation is unfortunately coming to an end so my TV watching is going to go into slow down mode. There is so much I want to watch, Colditz included. I also picked up the Loach BBC Box set, House of Eliot, The Street, Hillsborough, Stuart, A Life Backwards, Mapp and Lucia, all of which I need to watch. I am excited that Call the Midwife is coming to PBS. I am also getting antsy for some Downton. Thank you for the kind words about the blog. I am really happy how it's turning out. You mention a lot of awesome series but I would always suggest some Mapp & Lucia but then again I am always more partial to older series. I too liked "As Time Goes By", the first few episodes. i think a big part of it was simply the novelty of British television. The more I watched, the less I liked it. I didn't like the characters. They seemed to become so smug and politically correct, "as time went on". The series which I loved from the first and still love is "'Allo 'Allo". Even my husband, who has no use for television of any kind, liked that one. The wit is right up our alleys-a bit juvenile, but still witty enough to keep the running gags funny. In fact, it may be one of the few instances of a running gag which holds up over entire series. The actors were just that good (we adored the character of "Helga"). Even another favorite, "Are You Being Served" didn't hold up as well in that department.